Dr Henry Zakumumpa is a graduate of the PhD fellowship program of The Consortium for Advanced Research Training in Africa (CARTA). CARTA is jointly led by African Population and Health Research Centre and the University of the Witwatersrand. Henry's PhD research was jointly supervised by Makerere University, School of Public Health and Johns Hopkins University, Bloomberg School of Public Health. 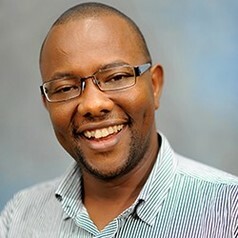 His PhD research focused on the sustainability of anti-retroviral therapy (ART) scale-up implementation in Uganda. Henry is passionate about health systems and health services research. He is a two-time fellow of The German Academic Exchange Service (DAAD). Between January and March 2017, Henry successfully completed a research fellowship at Michigan State University (MSU) with funding from The Carnegie Corporation of New York. Zakumumpa, H., Kwiringira, J., Rujumba, J., & Ssengooba, F. (2018). Assessing the level of institutionalization of donor-funded anti-retroviral therapy (ART) programs in health facilities in Uganda: implications for program sustainability. Global health action, 11(1), 1523302. Zakumumpa, H., Rujumba, J., Kwiringira, J., Kiplagat, J., Namulema, E., & Muganzi, A. (2018). Understanding the persistence of vertical (stand-alone) HIV clinics in the health system in Uganda: a qualitative synthesis of patient and provider perspectives. BMC health services research, 18(1), 690. Zakumumpa, H., Dube, N., Damian, R. S., & Rutebemberwa, E. (2018). Understanding the dynamic interactions driving the sustainability of ART scale-up implementation in Uganda. Global Health Research and Policy, 3(1), 23. Zakumumpa, H., Bennett, S., & Ssengooba, F. (2017). Modifications to ART service delivery models by health facilities in Uganda in promotion of intervention sustainability: a mixed methods study. Implementation Science, 12(1), 45. Zakumumpa, H., Bennett, S., & Ssengooba, F. (2017). Alternative financing mechanisms for ART programs in health facilities in Uganda: a mixed-methods approach. BMC Health Services Research, 17(1), 65. Zakumumpa, H., Taiwo, M. O., Muganzi, A., & Ssengooba, F. (2016). Human resources for health strategies adopted by providers in resource-limited settings to sustain long-term delivery of ART: a mixed-methods study from Uganda. Human resources for health, 14(1), 63. Zakumumpa, H., Bennett, S., & Ssengooba, F. (2016). Accounting for variations in ART program sustainability outcomes in health facilities in Uganda: a comparative case study analysis. BMC health services research, 16(1), 584.